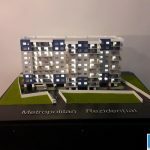 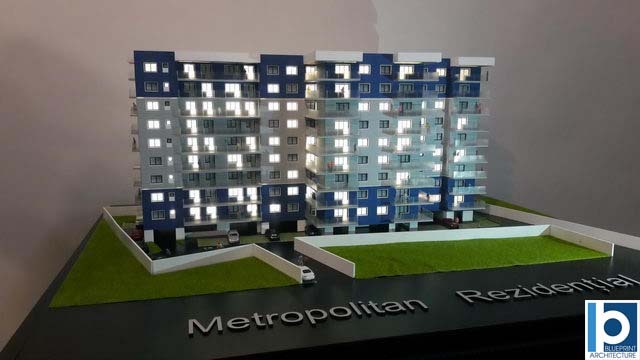 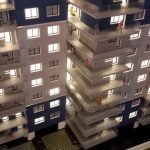 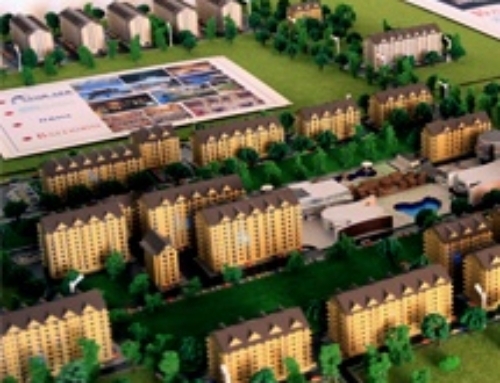 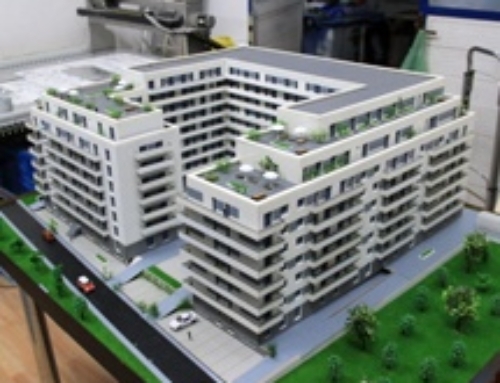 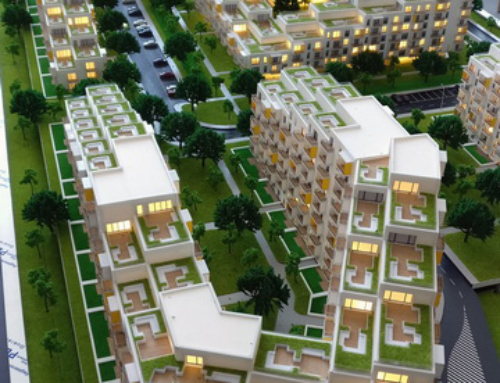 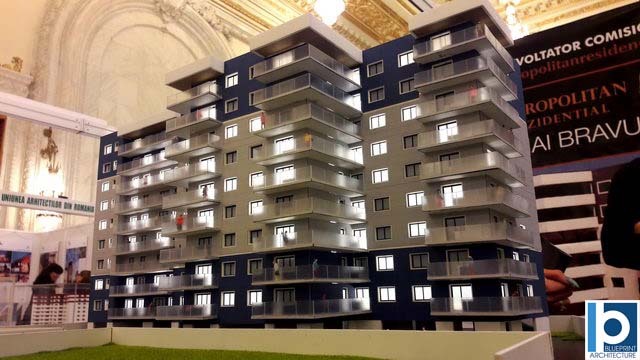 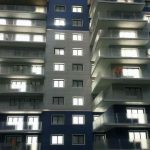 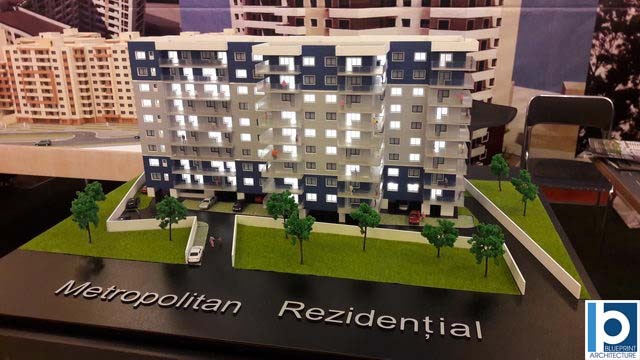 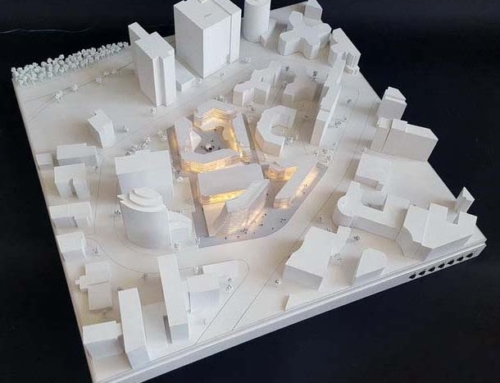 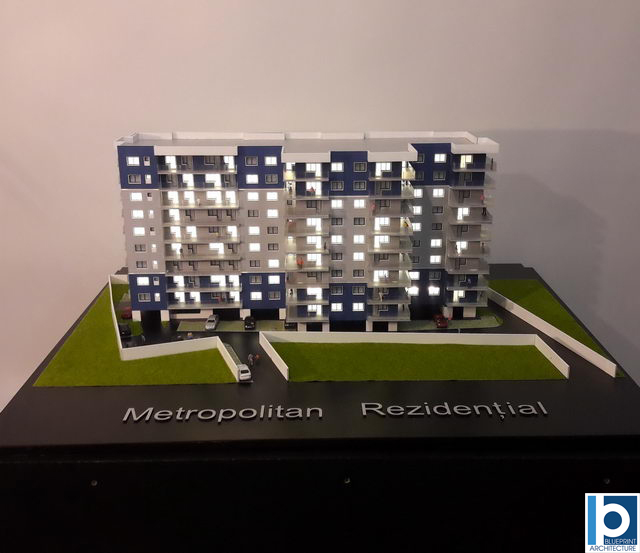 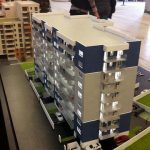 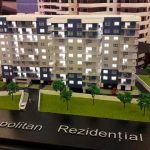 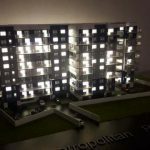 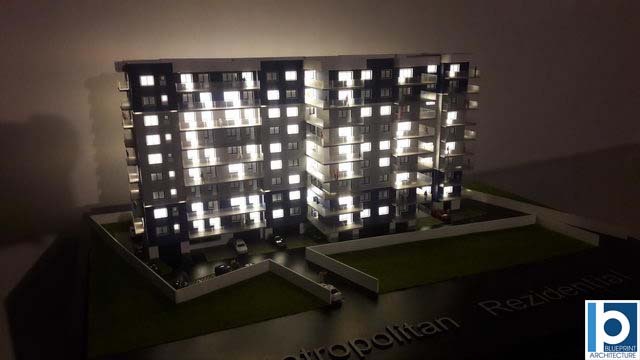 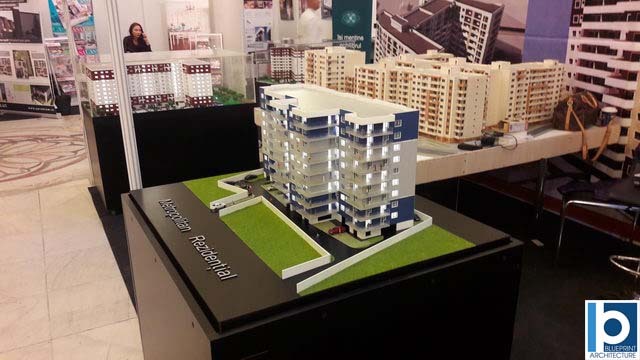 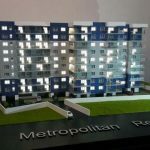 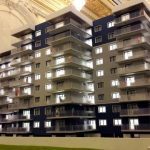 This is a architectural scale model of a Metropolitan Residence in Mihai Bravu, a new project which is set to be located in a strategic location within the city proper. 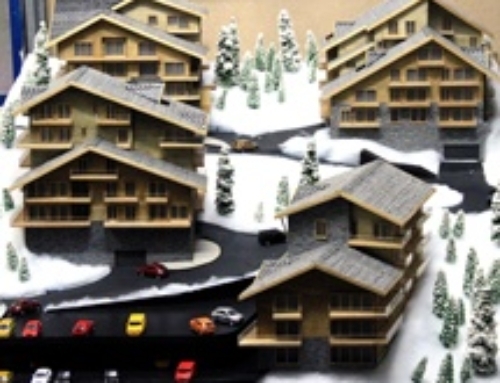 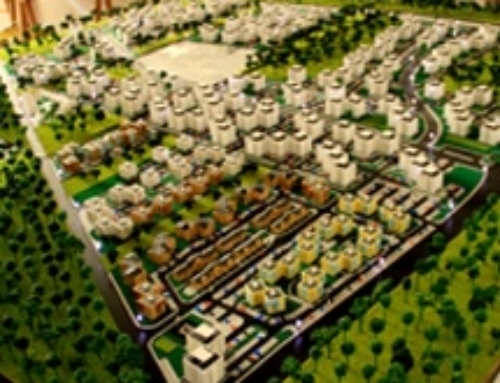 The model is mounted on a wooden ground support painted in black color, and the surrounding is covered with artificial grass.The model cars and trees, which are painted in various colors, make the urban scale model look more realistic. 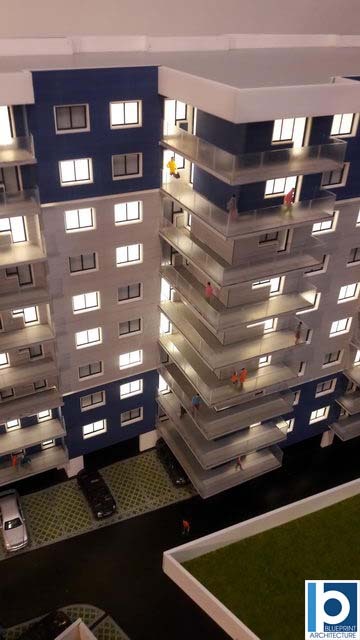 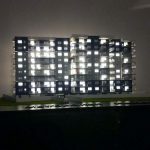 There are also model occupants on each floor and a few LED lightings on most of the rooms, highlighting the model’s feature and appearance while emulating night lighting.The facade is painted in a dark blue tone on the first and last two floors, and the remaining five floors in the middle are painted in light silver. 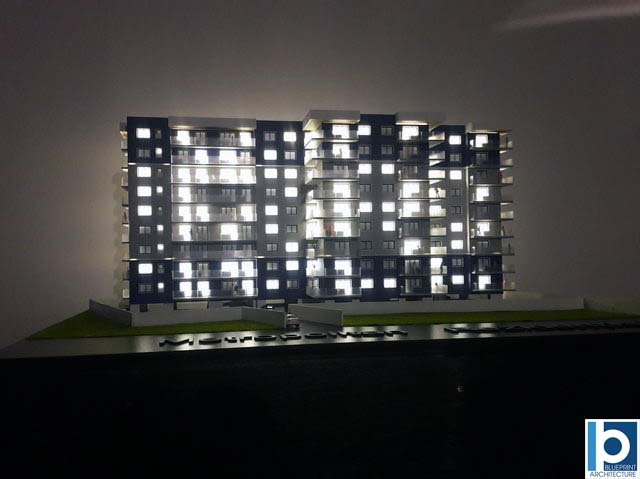 This provides harmony between the project and its environments.With the presence of such elements, this model is effective for project concept representation. 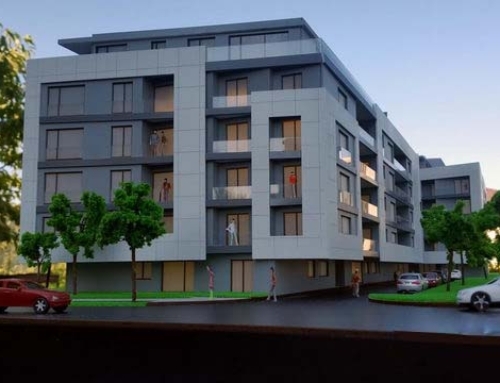 The shade of light silver on the building’s exterior offers a sense of security and home – something which a lot of residential structures fail to provide. 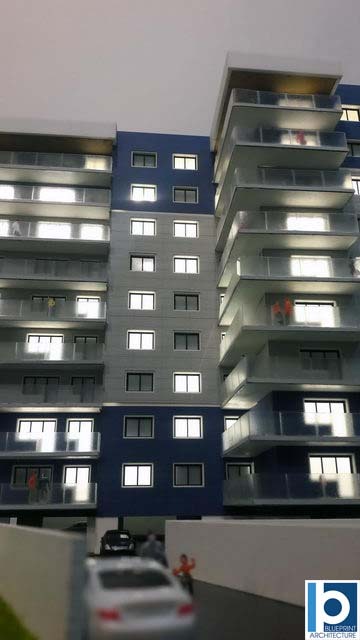 There is ground-floor parking on all sides and balconies looking in all four directions.The metropolitan residence is a semi-closed property with white walls surrounding the perimeter. 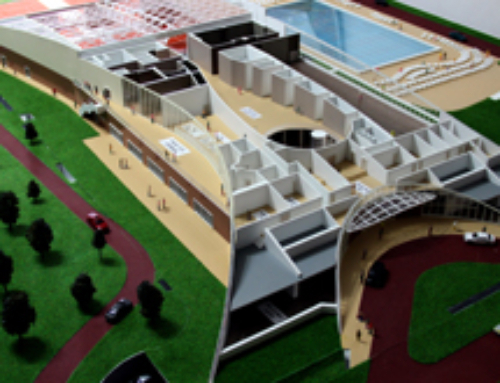 You can find two slanted pathways at the front: one for the entrance and one for the exit.There are also semi-pathways at the back portion. 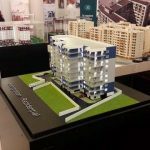 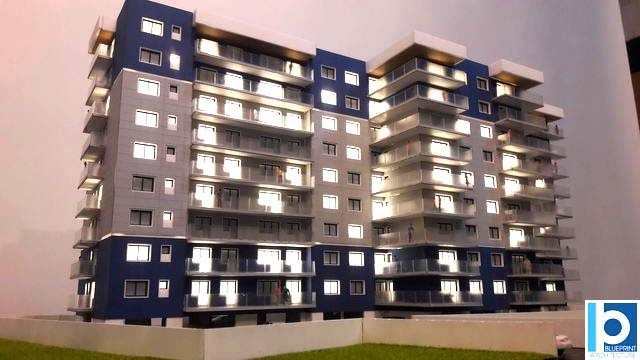 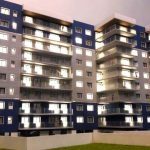 The architectural team envisions a project that is not just aesthetically appealing with the right combination of colors but is also multi functional and makes living more a lot more convenient.They created the model as a representation of how detail-oriented the building is and constructed with future developments in consideration. 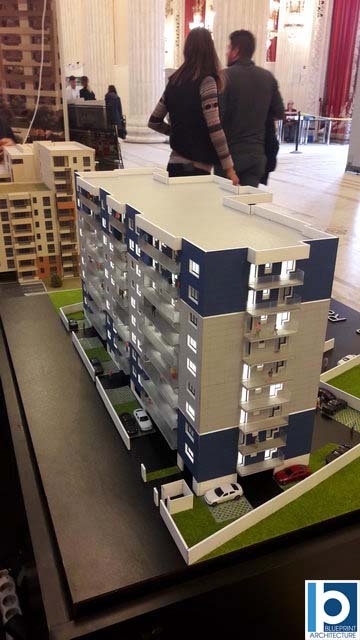 The 9-story, 3-building model is proposed to be situated nearby all major points of interests including hospitals, schools, shopping centers, malls, supermarkets, and more.This enhances the clients’ overall quality of life by providing quick and easy access to essential amenities and facilities.Judging from the layout, the building’s design maximizes floor space, and actual sizes for each room may vary from studio to apartment types.This provides accommodation for residents without intruding each other’s space.